This group creates opportunities to gather God’s people in prayer and greater dialogue. 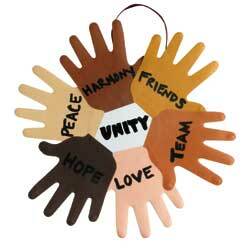 In our Parish, we celebrate the world week of prayer for Christian Unity together as neighbours and friends. We participate in the Christingle services in the first week of Advent as the family of God with drama, music and prayer. Together we organise a “Lenten Talk Series”. We support each others initiatives and good work throughout the year. Everyone is welcome to contribute as she or he wishes and the events are advertised by each of the congregations. Rev Joseph Mullan, Parish Priest.